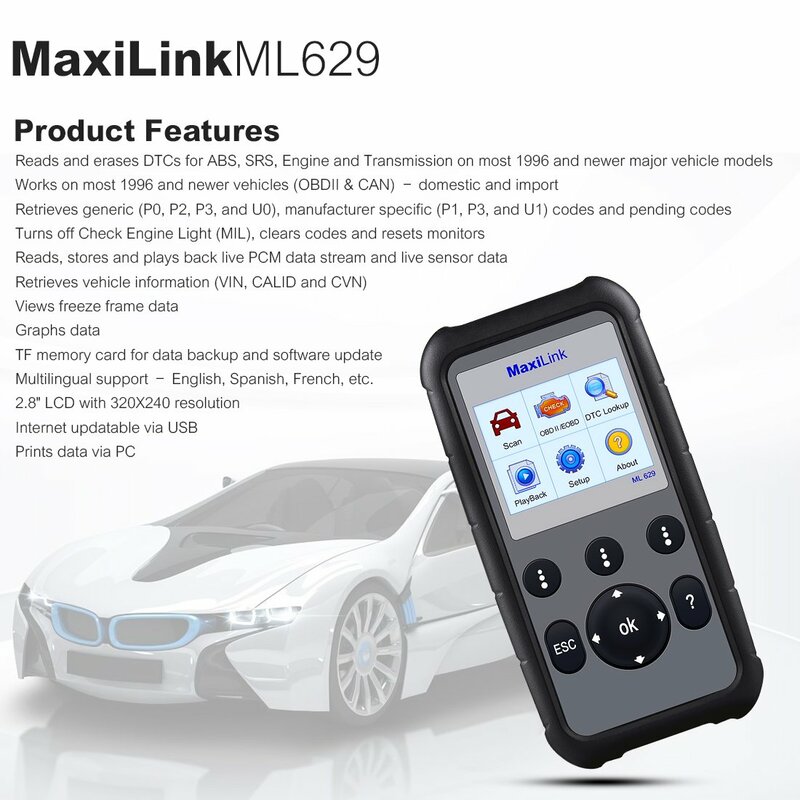 Autel Maxilink ML629 is a brilliant OBDII diagnostic tool that helps you diagnose your car. It allows you to read and erase diagnostic trouble codes as well as clear Check Engine Light. You will also be able to perform special functions such as resetting Engine, ABS, SRS, and Transmisison warning lights. The Autel ML629 is built to help you to determine why the Malfunction Indicator Light or the Engine/ABS/SRS/Transmission warning light is on. Supporting all 10 test modes of OBDII test, ML629 provides you a complete diagnosis. Since Autel Maxilink ML629 is an upgraded version of Autel Maxilink ML619 it performs more special features. These features include diagnosing the transmission system and the engine. It can also support the CAN, the latest protocol. Continue reading this comprehensive review to find out more about diagnostic functions of Autel Maxilink ML629. Not every scan tool can effectively reset SRS warning lights. However, Autel Maxilink ML629 is a great DIY scanner with an effective SRS feature. When there is a problem with the airbag system, the SRS light will blink and stay on. 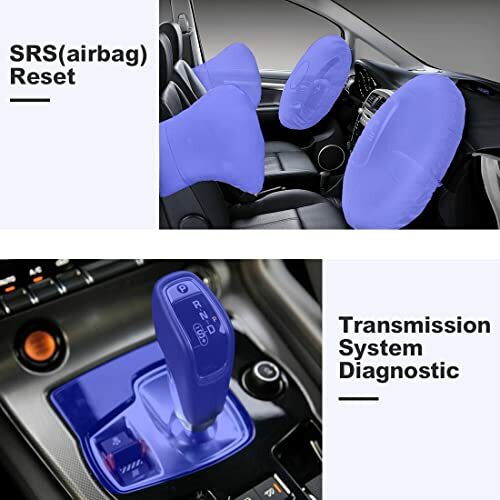 It can only tell you that there is a problem with the airbag system but does not specify the exact source of the problem. However, there is one major limitation of SRS warning lights. And this is where Autel Maxilink ML629 comes into play. This scanner can help you to retrieve SRS Diagnostic Trouble Codes (DTCs). The most common faults that affect the airbag system include damaged airbag, blown-up fuse, or defective airbag sensors. Depending on the retrieved DTC, you can either replace the fuse or the sensors which can be costly. Even worse is when the airbag itself is damaged. Replacing the airbag and the sensors is pretty expensive. Once the repairs are made, you can use Autel Maxilink ML629 to reset the SRS lights. Although the manufacturer claims a wide diagnostic coverage for this scanner it cannot perform SRS functions on some car models such as 1999Nissan Altima and Mitsubishi RVR2000 models. Transmission replacement or repairs are stressful, inconvenient, and expensive. However, you can stay one step ahead of transmission problems with Autel Maxilink ML629. Although the transmission system is prone to wear and tear than most parts of your vehicles this scanner can help you to identify most of the problem in good time. Whenever you suspect that there is unusual behavior such as lack of response or leaking fluid, it is recommended that you scan your car immediately. Luckily, this scanner can retrieve diagnostic trouble codes for most transmission problems. You will get to know why your car is shaking, is getting stuck on the gear, or why it is dragging clutch. Often, when there is a problem with the transmission system the Check Engine Light comes on. You will be able to clear the Check Engine Light once the underlying issue has been resolved. The scanner usually displays linking error on some vehicles indicated as compatible such as 2006Grand Vitara and 1996Jeep Cherokee XJ L4.0. If you find that your car is skidding when braking then there must be a problem with the ABS system. What’s the first thing that you should do? To begin with, you should check your dashboard if the ABS light is on. This is because of the onboard computer stores a trouble code when it detects a problem. Secondly, you should use Autel Maxilink ML629 to scan the ABS system. This scanner will retrieve the diagnostic trouble code stored on the onboard computer. 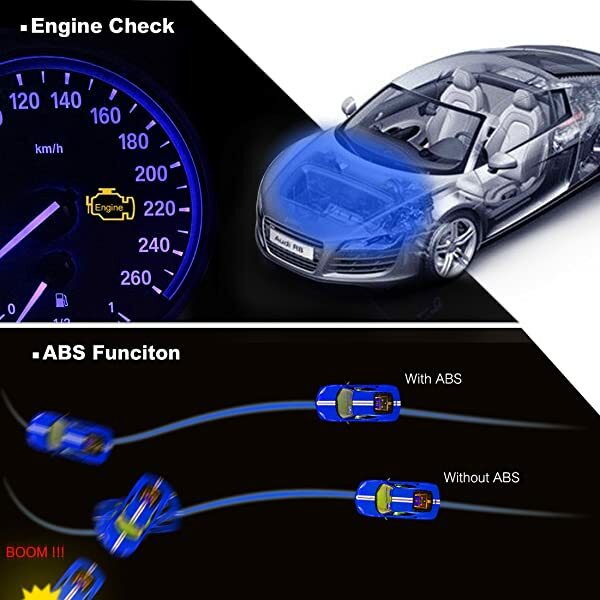 You will notice that the most common problem that causes ABS light to stay on is the faulty wheel sensors. You should replace the faulty sensors and use the scanner to clear the ABS warning lights on the dashboard. 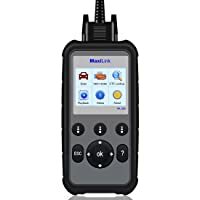 The best part about Autel Maxilink ML629 is that it will save you money and time as you can scan and clear the codes without taking your car to a mechanic. It can read but fails to clear ABS codes in TIIDA 2006 car model and Mitsubishi RVR 2000 car models. Your car engine is a complicated component having dozens of parts working in unison. However, when one part fails to function properly it may compromise the performance of the engine. It may fail to effectively burn fuel or experience engine misfiring. Such engine problems are accompanied by Check Engine Light popping on the dashboard. The good news is that you can use Autel Maxilink ML629 to diagnose the engine. Once you have identified the fault you can fix it if you are a DIY or have it fixed by a mechanic. The scanner will also help you to know if the repairs are complete. Finally, you can use the scanner to turn off the Check Engine Light. When you try to update the software it sometimes fails to check the engine and other diagnostic functions. Autel Maxilink ML629 is compatible with most of the vehicles manufactured from 1996 as well as newer models. It supports OBDII and CAN protocols both on foreign and imported vehicles. This scanner is also compatible with windows software allowing you to connect to your PC. You can use it to retrieve VIN, CALID, and VIN. It can print data when connected to a PC. Rather cumbersome to update. Possible update service issues. Bottom Line Autel ML629 is built for average car owners and DIYers. Autel Al629 is great for DIYers and average car owners. Autel ML619 is built for average car owners and DIYers. 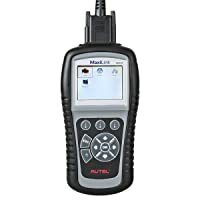 If you are a DIY then Autel Maxilink ML629 could be an invaluable diagnostic tool for you. You will be able to perform both basic and special functions using this scanner. A good scanner will help you to make an accurate diagnosis and perform better maintenance and repairs on your car. 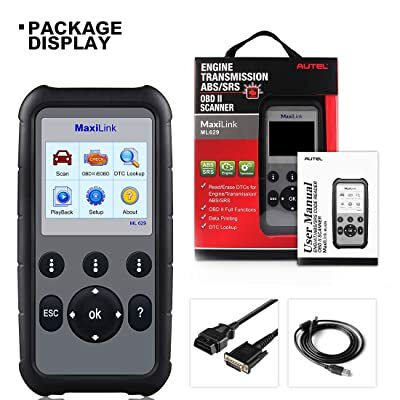 Autel Maxilink ML629 is a high performing scanner that can help you effectively scan your vehicle. The only downside of this model is that it fails to recognize some models such as TIIDA 2006, Mitsubishi RVR 2000,999Nissan Altima and Mitsubishi RVR2000 models. However, it is a great scanner that can perform basic and some special functions. You need an advanced car diagnostic scan tool to diagnose the systems and perform relearn functions? Autel MX808 Maxicheck will is the best choice for you. JDiag JD101 is a beautifully designed OBDII scan tool with the ability to read and clear most engine codes and conduct thorough battery tests. Let’s see how good it is!